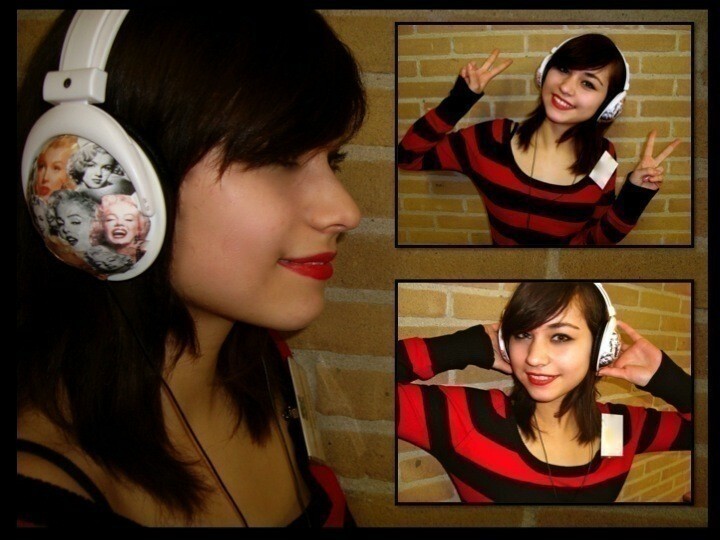 personalize your headphones with pictures. 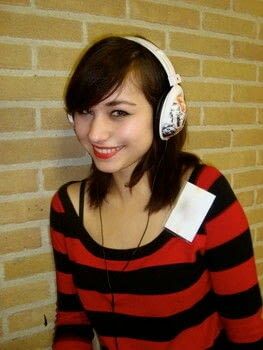 For 'sint Nicolas' this year i got a pair of headphones. 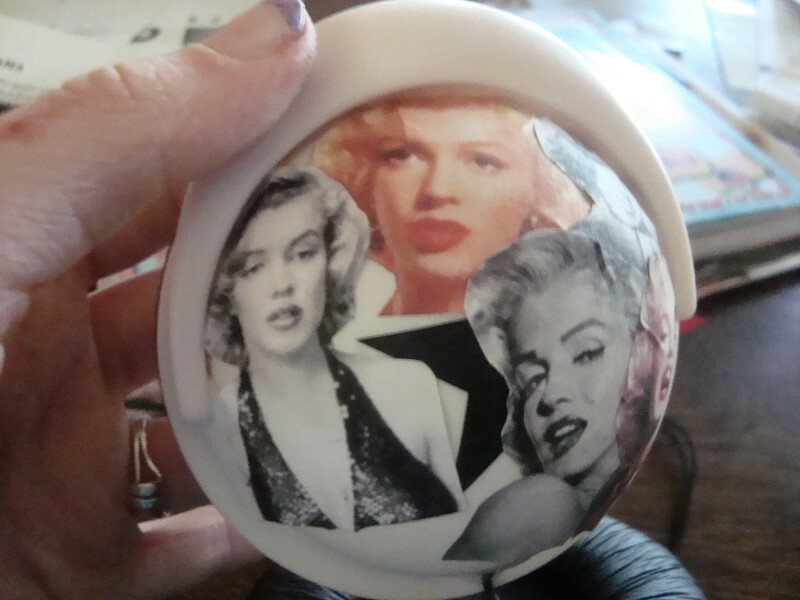 but the were pretty boring so i pimped them up with pictures from one of my favorite style-icons, marilyn monroe. it's pretty easy to make but there is one problem, i could find the good lacquer. but i'm sure that if you look you can find it. i also want to thank Jamila for being such a fabulous model! have a good look at your headphones if the wire comes out if it is in your way put some tape over it. look up your pictures and get all of your stuff you'll need. start cutting them out and figure out an order that looks good. 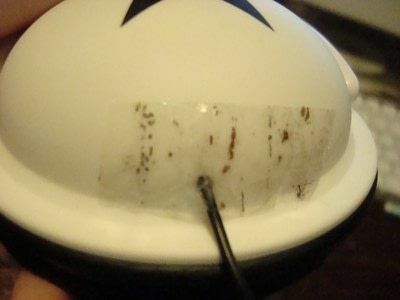 I first used some sticking tape and when i was pleased i sticked them on with the glue stick. repeat on the other side... and go and look for good lacquer. and if you do find it please tell me..
Do i have to make it white before pimpin' it or won't you see the green colour through the images? 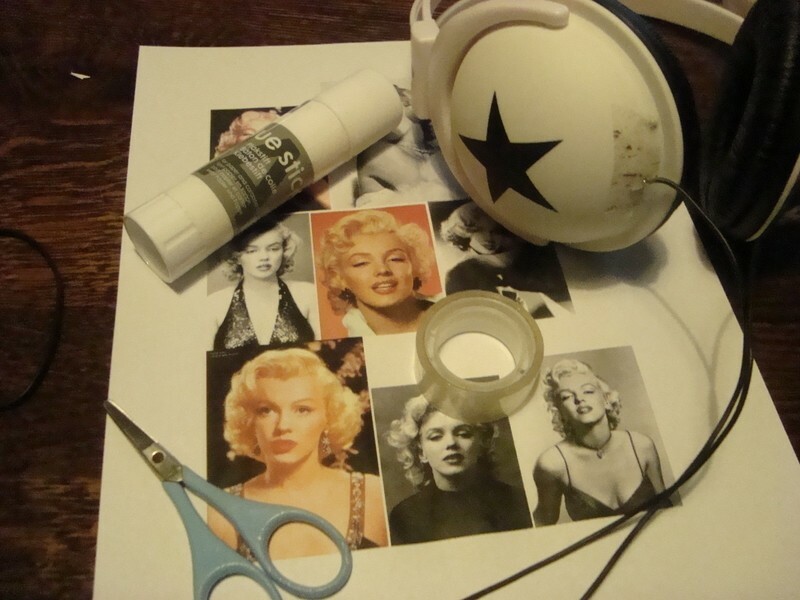 a good lacquer that i find works for everything-mod podge. all craft stores should have it, it should be a STAPLE. 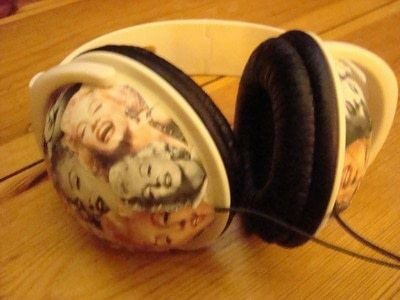 i use it a lot, and don't be afraid to glop it on, cuz it dries clear, but if you put too much the ink color will bleed. MOD PODGE. you will not be disappointed. thanx for getting this project in the top 20!! !